We pass stories down through the generations, but how true are they? Were your ancestors pillars of the community or common horse thieves? 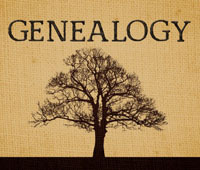 Ann Mohr Osisek, a genealogy instructor and past president of the Florida Genealogical Society, will offer tips on finding these hidden tales at 2 p.m. Friday, Feb. 8, at the Port Orange Regional Library, 1005 City Center Circle. She will explain how to hone your research skills and use the library’s genealogical databases. Reservations are not required. For more information, call 386-322-5152, option 4.